Silver metallic spray paint, for bare metal or as a finish over suitable primer. 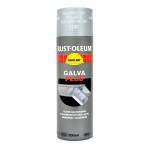 Rust-Oleum 2120 Hard Hat Galva Plus provides the durable protection of a standard topcoat, for bare metal and galvanized steel or use as a topcoat on zinc primers and galvanized. Heat-resistant up to 100°C (dry heat). It is touch dry in 15 minutes, can be handled after 30 minutes and is recoatable within 1 hour or after 48 hours. 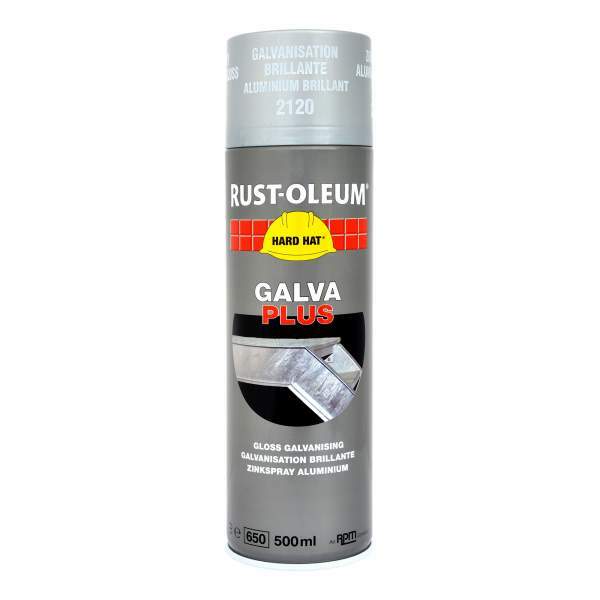 Rust-Oleum Industrial 2120 Hard Hat Galva Plus Aluminium is available in 1 colours from the Rust-Oleum Industrial Colour Cards.